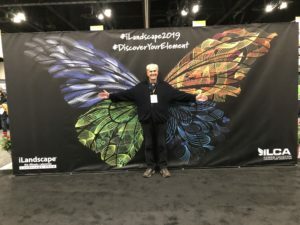 It was another great ilandscape show held at the Schaumburg Convention Center last week. I found it so invigorating for so many reasons…new technologies and products, interesting seminars and seeing all the award winning projects from 2018 (more on that next week)! 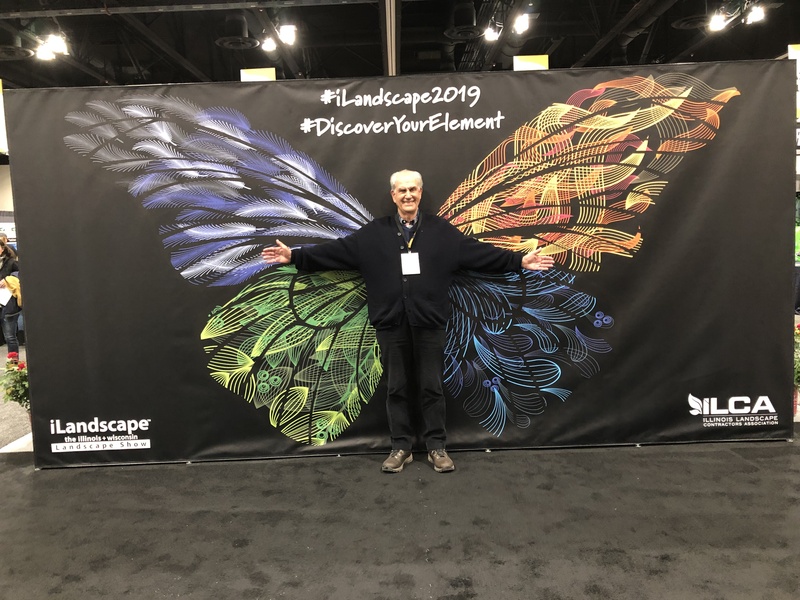 The show is meticulously planned out by the Illinois Landscape Contractor’s Association’s Experience, Awards and Education committees and ILCA’s amazing staff and Executive Director. In short, it’s a very big deal attracting 6,800 attendees. I think most people dread attending events of its nature. I saw several people, even those promoting products that definitely fit that bill. But that attitude is SUCH a waste of an opportunity. One of my favorite things to do when I come across those people is to interact with them, pull them out of their shell. Maybe if I’m lucky I’ll get a laugh. Try to turn around their day. That’s the human interaction that is so important. Sure sharing best practices, learning about new innovative ideas, those are vital to our business. But there are those moments in between. Asking about someone’s kid without trying to sell them something, but because you care. Telling someone you love their tie, because you actually DO. Put simply, taking time away from thinking about your problems, and to do lists and general needs to be inquisitive of someone else’s. Try it, it’s very fulfilling, especially face to face and not through a text message. I hope that one day we don’t completely lose that feeling we should all feel after a genuine face to face conversation. That it would be an actual tragedy to have the true beauty of a laughing smiling face in person be replaced by yet another clever emoji. Harry Vignocchi having some fun at the ilandscape show! This entry was posted in Uncategorized on February 6, 2019 by iltvignocchi.